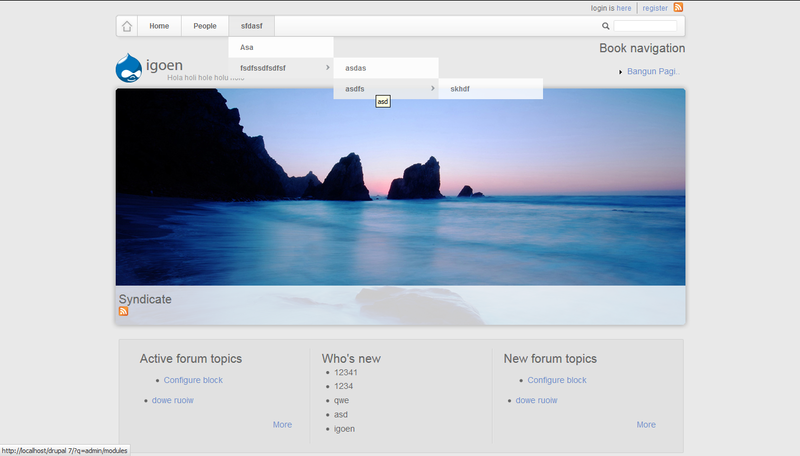 Whitebull, a theme that will be prepared to be promoted at drupal.org. But now is not ready, why? Yups, because there are many errors in it. But I'll fix it soon. Target 2 days left over. Just wait it! hi friend, i look this theme very professional, but i dont understand to editing drupal, is you can help me? Editing in drupal is very simple, just search on drupal.org. All problems solved in there. Or if you just want to ask, you can sent messages to me, I will give some advice.